As well as lard, this part of Tuscany is famous for its marble. Michaelangelo would come here for his raw materials. Nor are these two facts entirely coincidental. 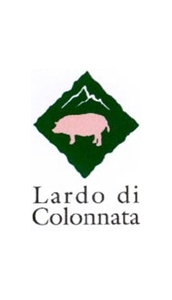 The Lardo is treated with spices and matured for six to eight months in marble tubs, known as conche, in caves cut out of the same stone. The result is fragrant, melting and joyous. Fausto also makes a sublime pancetta which, like the lard, is available in France only at Racines.